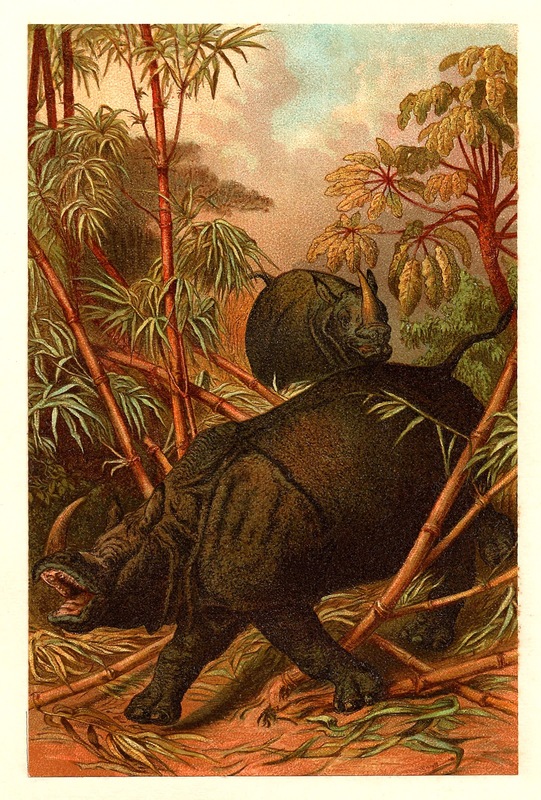 This is the last animal chromolithograph illustration I have from an antique 1885 natural history book. The Victorians took a true interest in natural history, but their representations and illustrations of animals verged on the wild and fantastic some of the time. No doubt a Rhinoceros can be dangerous; however, this charging Rhino seems a bit more menacing than it would naturally as it bares its teeth. Enjoy!